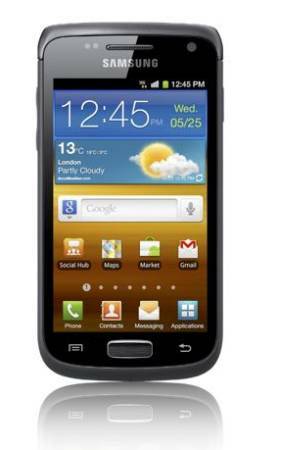 A friend of mine at 3UK has posted a short video introducing the new Samsung Galaxy W smartphone. If you have already read our previous post today explaining the significance of the Samsung smartphone naming, you will know that the W stands for Wonder (High quality, strategic models, perfect for those seeking a balance between style and performance). The phone comes with gingerbread, with a 3.7" SLCD screen, 5MP rear camera and 1.4Ghz CPU. It looks like this is probably a medium range phone, it'll be interesting to see what prices this phone comes out at.